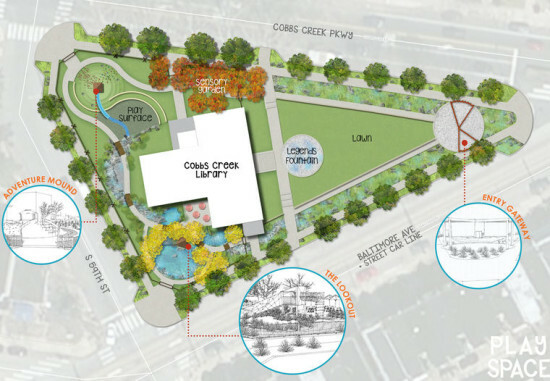 The Community Design Collaborative (CDC), in partnership with the Delaware Valley Association for the Education of Young Children (DVAEYC), has selected nine finalists for Play Space, a design competition that challenged designers to create spaces for play at a library, a school, and a recreation center in Philadelphia. 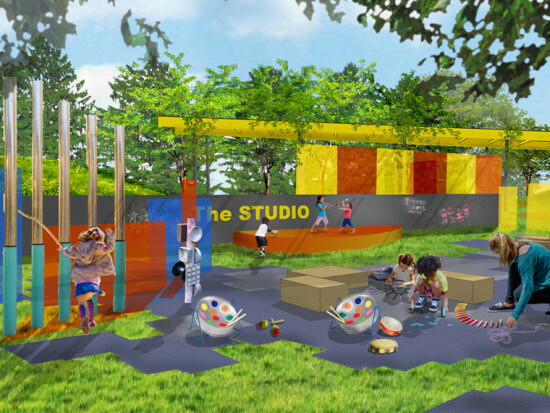 Play Space explored how good design encourages early childhood development and the success of communities on the whole. 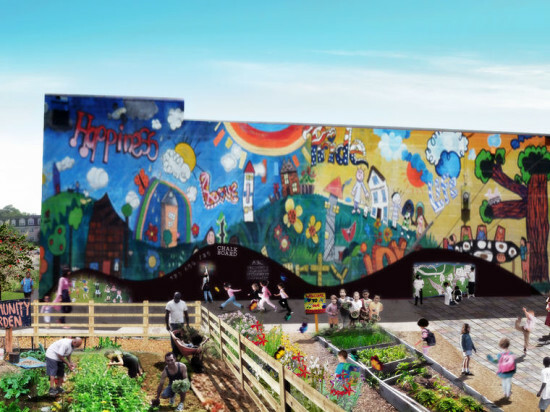 The two-year initiative is part of CDC’s Infill Philadelphia, a program that uses architecture and design to confront community development challenges in Philadelphia and elsewhere. Three teams were selected for each competition location. 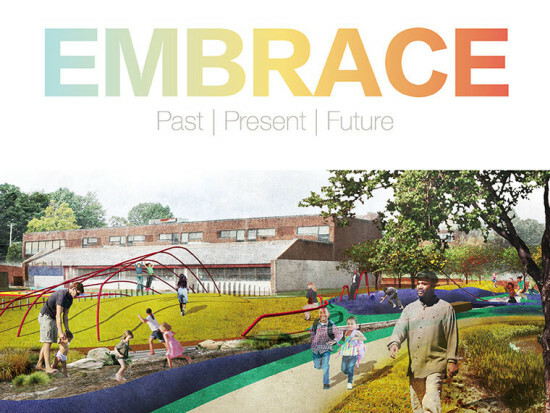 Those nine teams will be vetted again: once by the community and again by the jury at an exhibition in mid-March. In all, 40 teams from five countries and 11 U.S. states applied to be considered. SALT Design Studio (lead), CH2M HILL, the City University of New York, Ian Smith Design Group, It’s All Made Up, Kirk Fromm, design + illustration, PlayHarvest, and SS | Design Details. TSW (lead) and Wesleyan School. 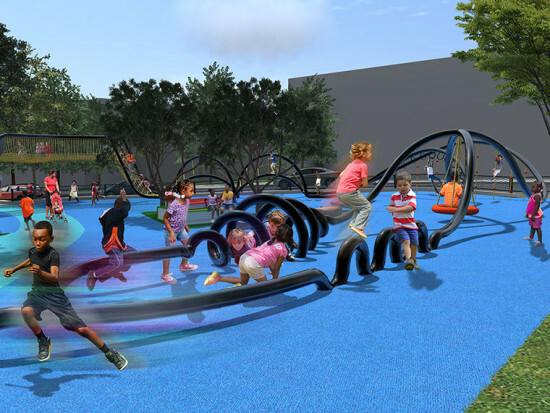 Ground Reconsidered Landscape Architecture (lead), Designed For Fun, Friends Select School, J R Keller LLC Creative Partnerships, Meliora Environmental Design LLC, and The Parent-Infant Center. 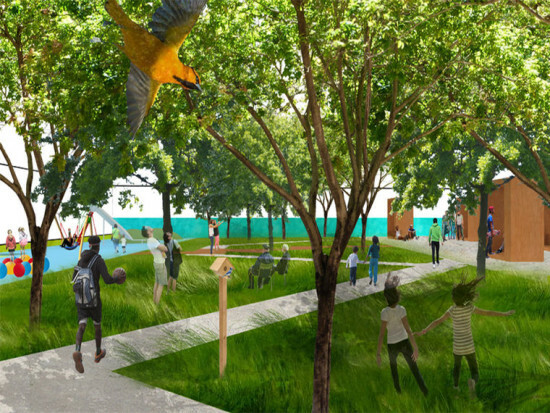 Shift Landscape Architecture (lead) and Strathcona-Tweedsmuir School. 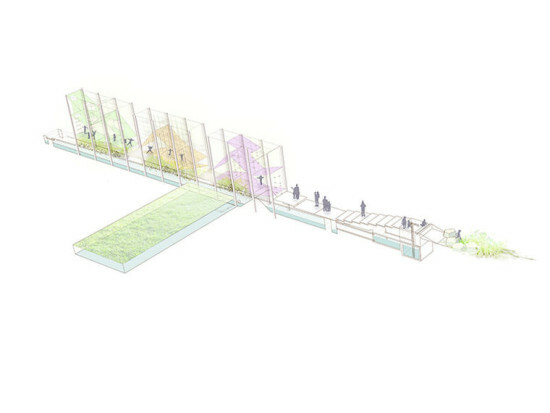 Ramla Benaissa Architects (lead), Elwyn, and Maser Consulting P.A. Team Members: Roofmeadow and StudioLudo (co-leads) and Space for Childhood. 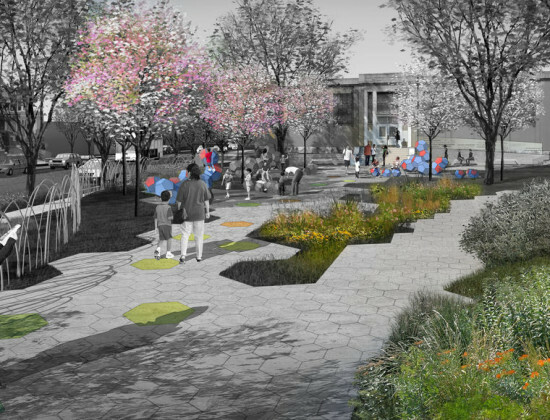 Meliora Environmental Design (lead), Atkin Olshin Schade Architects, International Consultants, The Parent-Infant Center, and Viridian Landscape Studio. 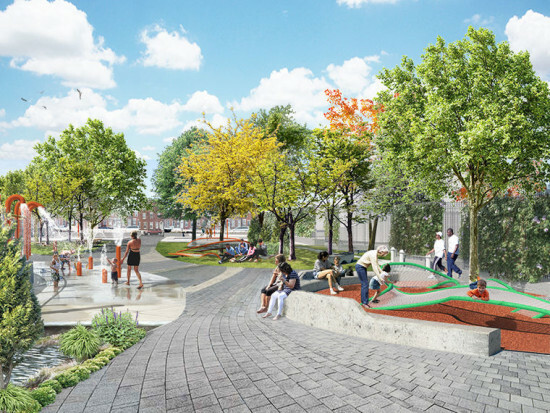 Terry Guen Design Associates (lead), CITYPLAY, Philly Art Center, and Roots First. Studio of Instinct Fabrication (lead) and Red Sun Kindergarten.